Wild and Lucky © 199? IGT (International Game Technologies). 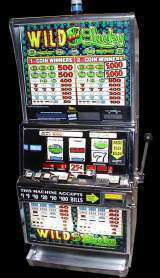 3-reel, 1-payline, 2-coin mechanical slot.